Slow, Steady, Stubborn, Strong.... - Time for a nice cup of tea? 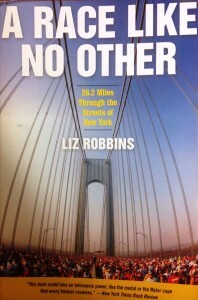 ... is my New York Marathon mantra! My strategy will be run 9 minutes, walk 1 minutes for the first half, and then for as long as I can. When it gets too much, run 4 minutes, walk 1 minute. I want to enjoy the atmosphere and see New York. The atmosphere and crowd support is meant to be wonderful. Today I did 1.5 hours (definitely into taper territory now). The longest I have run is 25km (I failed to complete 30km a week later), but the last few weeks i have been under weather with cold, ear ache, period, too much stress at work. So I have been trying to rest as much as possible and get some strength back. I feel as though I haven't trained or prepared enough. One the one hand, this is true. On the other hand, I have done what I could given my job and family and other commitments. And compared to a year ago, I am so much fitter and stronger. I am proud of the progress I have made. This year alone I have run 2 10ks, 1 10 miler and 2 half marathon. I know what my pace is and I know what my strategy needs to be. I will post details next week on how you can follow me on the day!